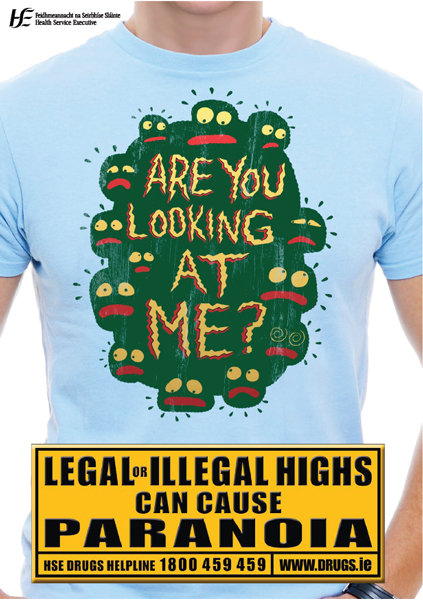 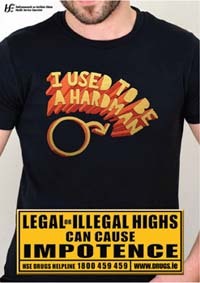 The HSE has unveiled a new national campaign on the dangers of legal and illegal drugs. 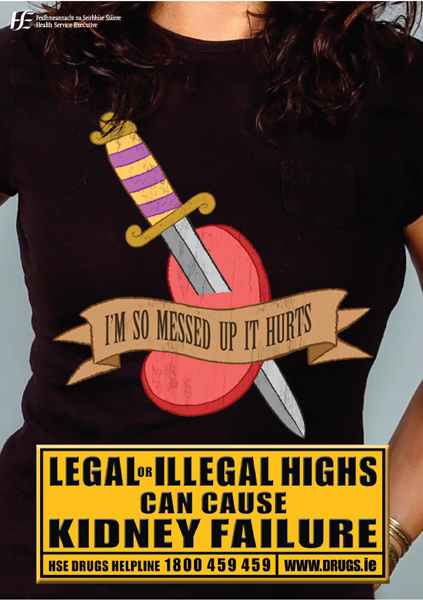 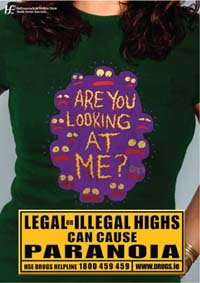 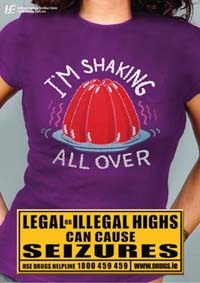 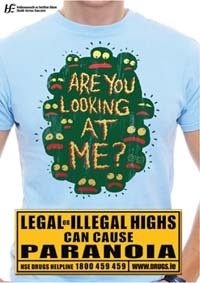 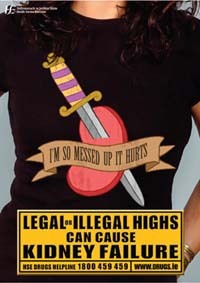 The campaign is entitled ‘Legal or illegal highs - they’re anything but safe’. The campaign is seeking to raise awareness of the dangers and significant negative mental and physical health effects that can be caused by these psychoactive substances. 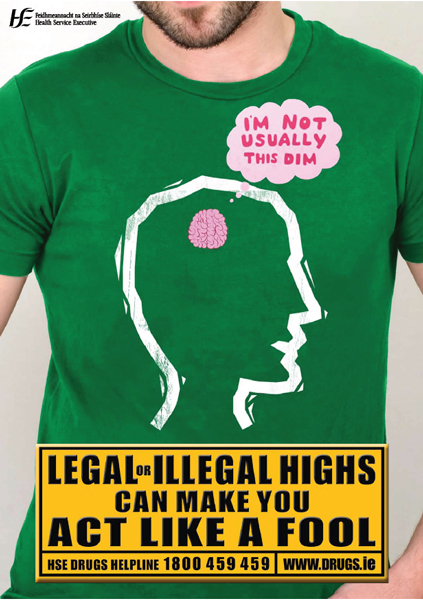 Along with recent legislation introduced by the Government prohibiting the sale or supply of psychoactive substances, this public awareness campaign forms an important part of tackling what has become a serious public health issue. The campaign features a number of important messages which illustrate the ill-effects that can be caused by these substances. 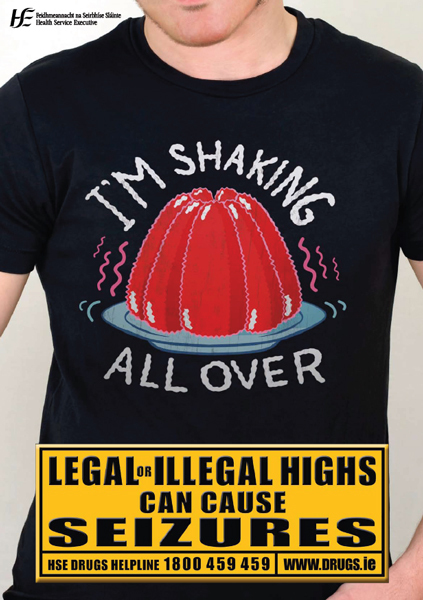 Legal or illegal highs can cause paranoia; impotence; kidney failure; heart problems; seizures, death or make you act like a fool - they’re anything but safe. 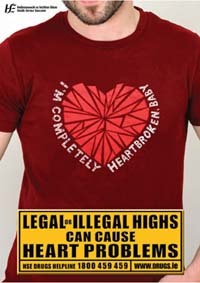 These messages will feature on radio ads, in cinemas, washrooms in bars and clubs and at festivals over the summer. 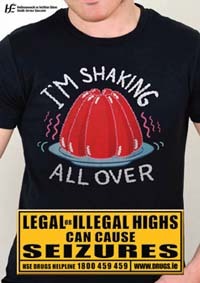 Radio ad highlighting the health risks associated with taking illegal or legal highs.